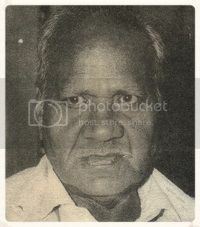 Aziz Merthi was born in 1939 in Merth (India). He was basically a film writer, who also assessed his capabilities as director as well like Riaz Shahid, Shabab Keranvi, Ali Sufiyan Afaqi and Syed Noor. As writer he was famous for writing stories for magical, costume and fairy tales based films and in the start he was labeled writer for such stories. But after writing a story for Aslam Dar for his films like Basheera and Dil Lagi on two different topics his creditability as film writer was accepted by all walk of life pertaining to film. Subsequently he proved his worth and he became one of the best film writer of Pakistan film industry. His films includes Lala Rukh, Sitamgar, Ustad, Paristan, Hazardastan, Basheera, Zubaida, Aik Dulhan, Nagin, Rangeela Ashiq, Zarq Khan, Do Dil, Khuda Te Maa, Saltanat, Banarsi Thug, Allahdin, Elaqa Ghair, Piyar hi Piyar, Inteqam Di Agg, Dil Lagi, Piyasi, Dosri Bivi and Sher Dil. Once Khalil Qasier started his film career as film Director, Aziz Merthi wrote the story of his film Yar Beli. See his detailed filmography. As director Aziz Merthi directed Husan o Ishq, Hazar Dastan, Aaliya, Sitamgar, Lala Rukh, Paristan, Yaden and Piyasi films. Aziz Merthi was admitted in a local hospital of Lahore on a very critical stage in 2013, initially his health state was improved but again it got shoddier and finally he died on February 22, 2014. To view Aziz Merthi‘s filmography, please go here.